Congrats, they have taken out the main lift. And replaced it with what? It no longer holds cargo? just flew this for the first time tonight...it's really a soothing interior design. Very attractive ship. -With the "Armory" moved to the cockpit make that room a Med Bay for long term exploration. After all... ORIGIN (rich Citizens) "Elysium Med pod"
This VIEW!!! This is why I am keeping the 600Ex over the Carrack. EDIT: Oh damn... I should have just done screen captures instead of pictures with my phone. lolololol It was LATE!!! You get the point. Man, quite the extreme they're going for with the ship, as I've noticed. But hey, not something I can really knock, it's probably a blast to fly. The window in 600i Touring. PSA. 600i Touring is going up $35. So if you wanted one and it’s in your buy back, nows the time. Hello, first time selling here. The Origin 600i ship, at 520 USD for the touring/luxury module and 540 USD for the exploration edition. The Aegis Eclipse is available for 330 USD. The Origin 85x snub ship is available for 65 USD. All ships come with LTI, as they come from their original concepts. All prices here are included without fees. Payment will be done through PayPal invoice. Once the ship is sent, the sale becomes final, as it cannot be returned back. Message me if you are interested or need more details. + Its not being worked on by Behaviour anymore, who designed the interior like a cold, sterile, corporate waiting area. + 890 Jump on sale during the Origin 600 sale. CIG needs your moneys! - By their own rules, CIG *should* not be raising the price until its hangar ready, but look what they just did to the not-hangar-ready BMM. 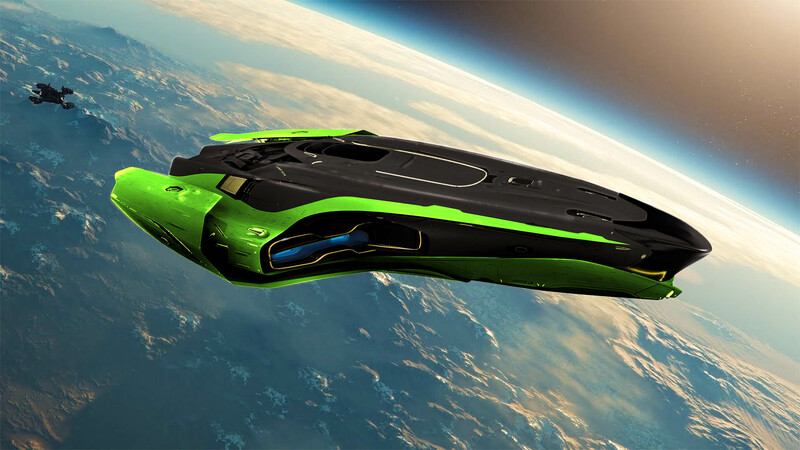 It is always fun to see what the community expects from upcoming concept sales...... and now we have an Easter Egg.... for the Origin 600 as the next Concept Ship with the Banu Defender. What Price Do you expect CIG will set for the Concept Sale for the Origin 600? What size do you think it will be? Do you think the Origin 300 series (rework) will be combined with the 600 series concept sale like the pairing of the Banu Defender and Merchantman? Origin 600 Thread From the back of the Defender brochure.